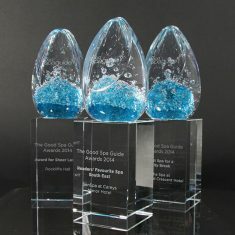 Unique profiled glass award with frosted edges. 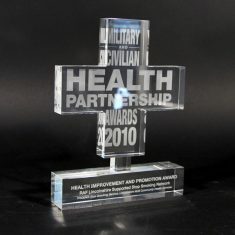 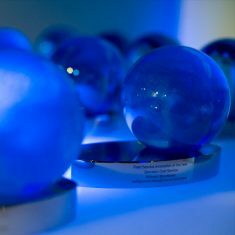 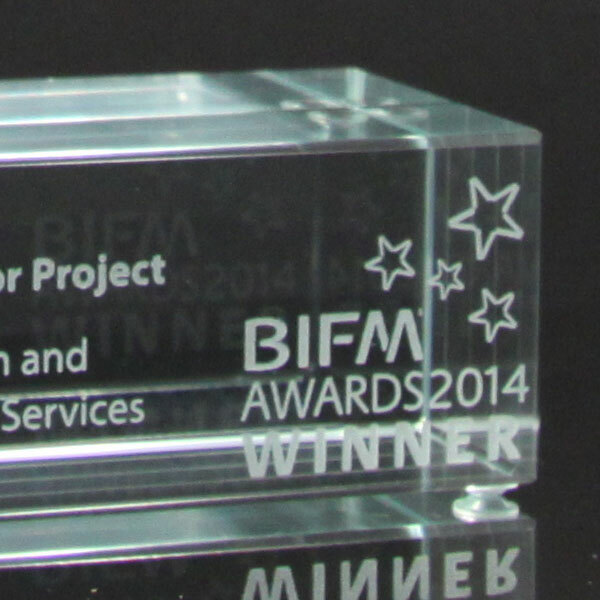 Combined with a clear glass base to form an impressive bespoke award. 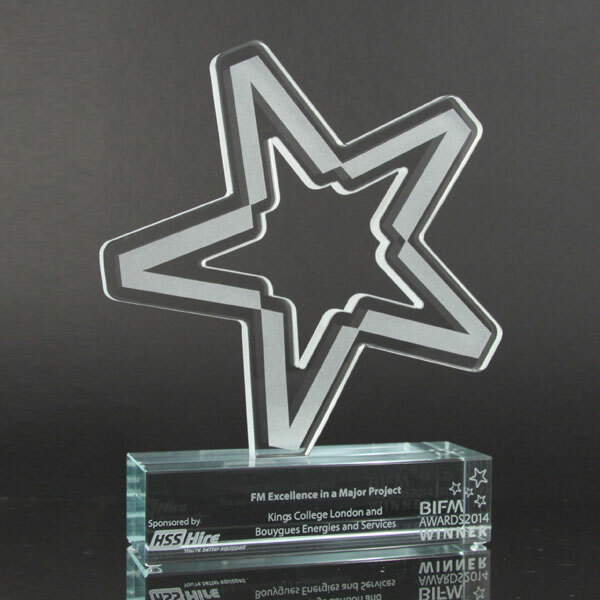 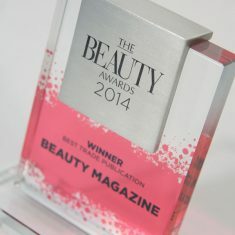 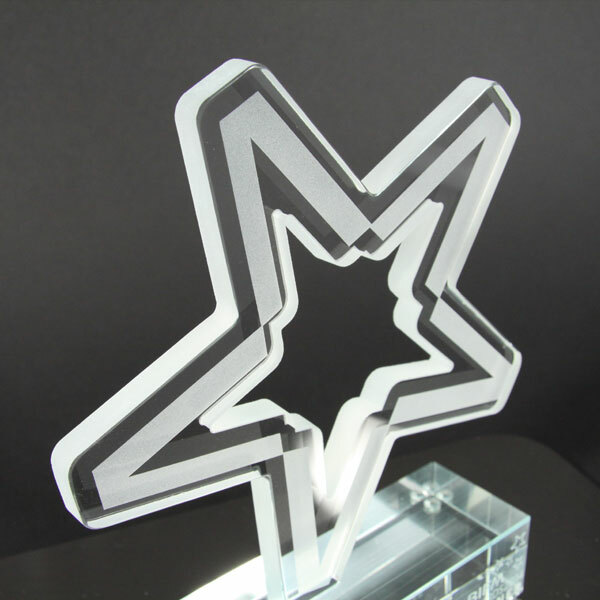 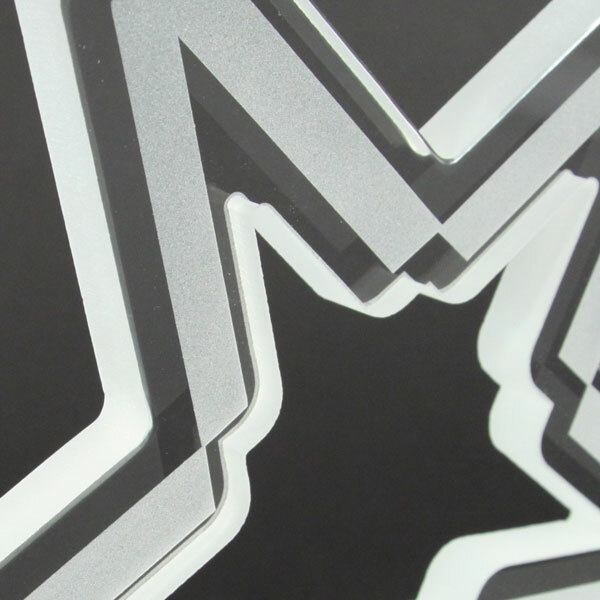 Each award is personalised by laser engraving directly onto the glass base.